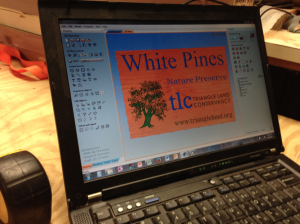 Triangle Land’s Kyle Obermiller uses a Handibot to make intricate wooden signage for the organization’s parks, boating areas, education centers and trails. Non-profit organizations, particularly local, smaller institutions, have to work hard to make every dollar go as far it can. 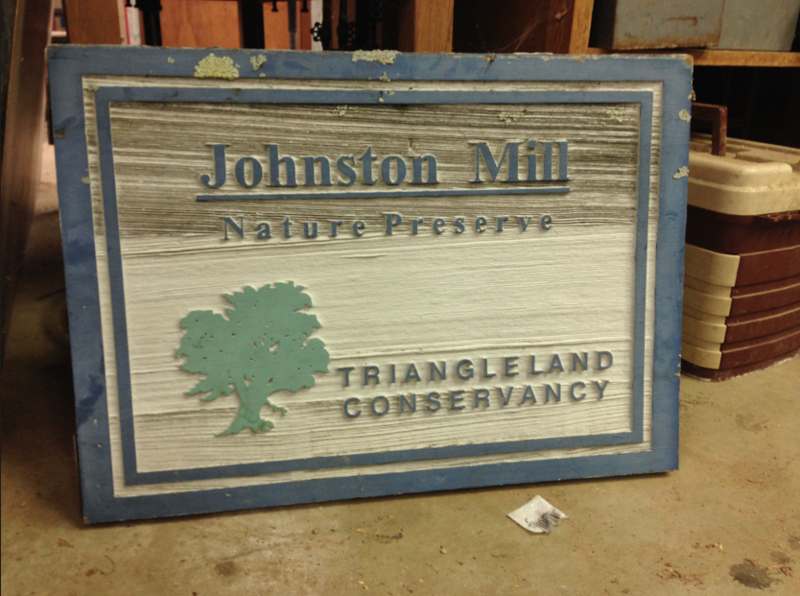 This is certainly the case at Triangle Land Conservancy, which works here in Chapel Hill, Durham and surrounding areas to safeguard clean water, protect natural habitats, connect people with nature, and support local, sustainable farms and food production. 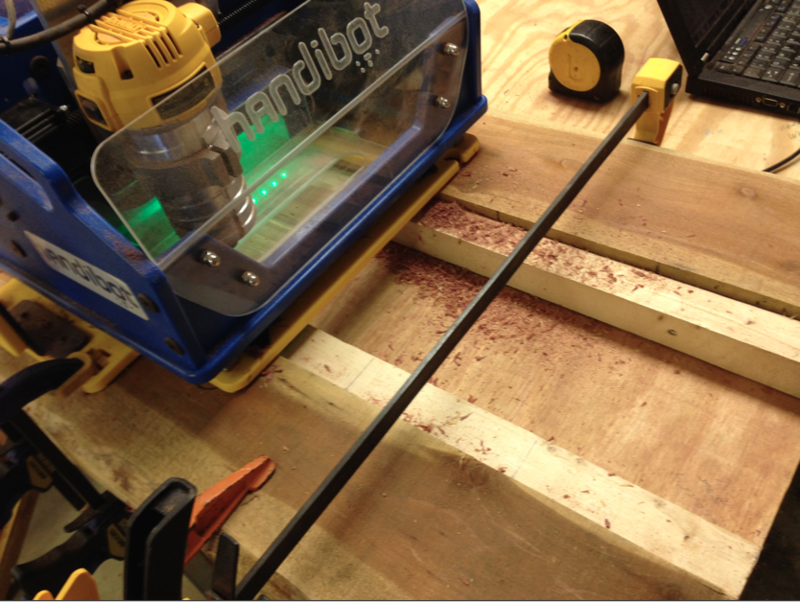 It turns out the Handibot® Smart Power Tool has been a useful addition to their workshop, saving the organization money each time they need to build new and replacement signage for their many protected natural properties. A few weeks ago I paid a visit to Kyle Obermiller in their workshop in southern Chapel Hill, which sits on 275 acres of undeveloped land. 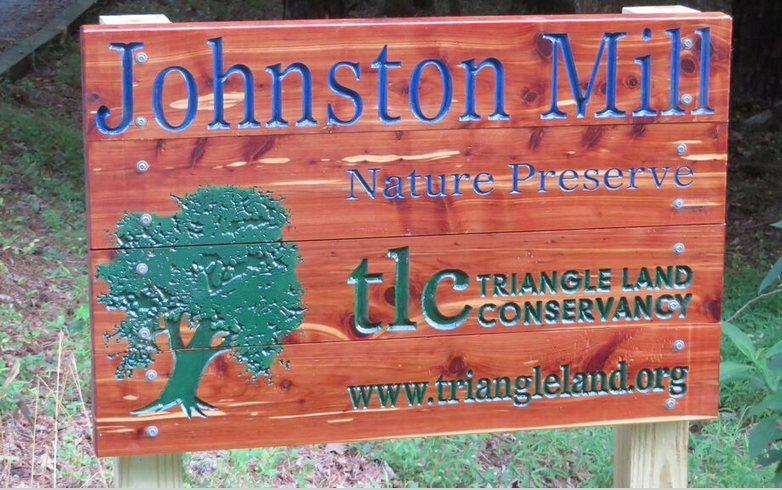 This land was originally owned by the late Logan Irvin, a chemistry professor at UNC whose home-based chemistry lab has become the woodshop for Triangle Land Conservancy. Kyle, the organization’s Stewardship Maintenance Technician, explained how they came to hear of Handibot. 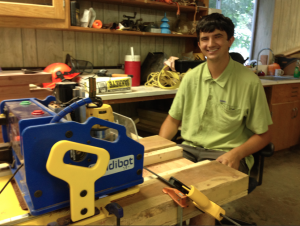 “Our land manager Walt Tysinger’s son discovered the Handibot Tool during its Kickstarter campaign, and brought it to the attention of his Dad.” Walt had been using a large ShopBot Tool at the former Tech Shop Raleigh to make signage for the organization. 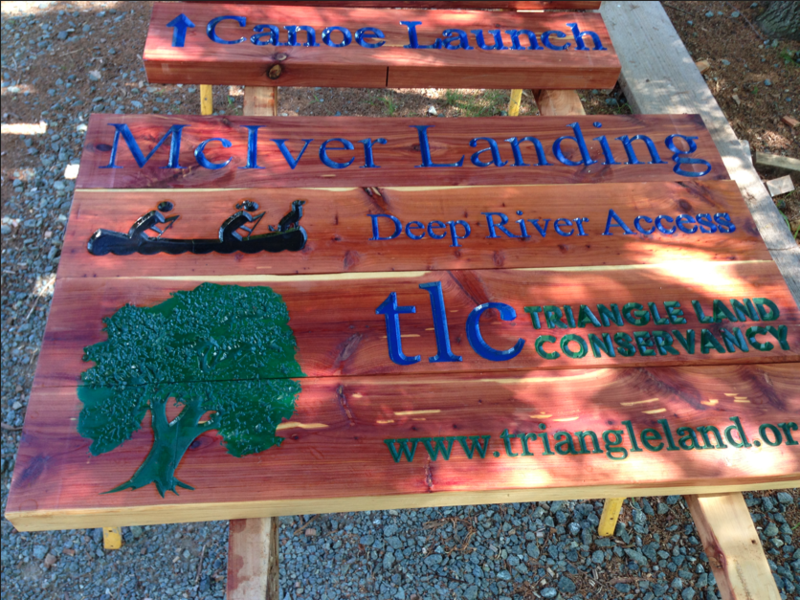 Late in 2014, Triangle Land was preparing to start a large trail project, and thanks to a grant from Wells Fargo they had funding to make signs for new projects and upgrade the organization’s older, deteriorating signs. 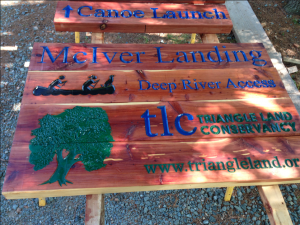 Kyle said that Triangle Land had in the past awarded these sign making projects to a local vendor who charged $30 per sign. They wanted to find a more economical way of solving the problem, and Kyle investigated the Handibot tool. “I was happy to discover that ShopBot is right here in Durham, so I paid a visit.” Kyle met with Handibot lead developer Brian Owen, who demonstrated how signage of the size that they needed could be made by tiling on the Handibot. 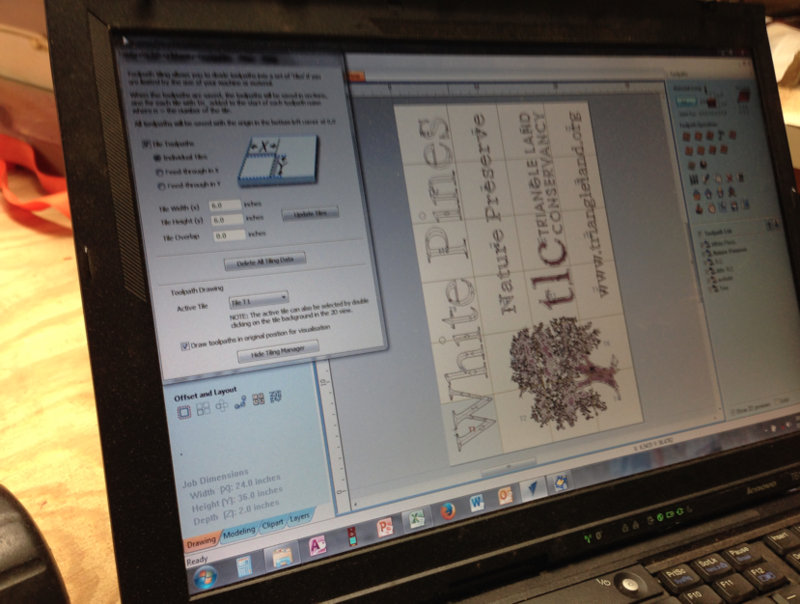 Designing and cutting/carving the sign. Kyle explained that he’s been replacing signs that are each about 15 years old, and also making signs for new areas under the organization’s stewardship. 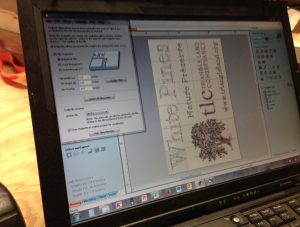 For each sign, he uses V-Carve Pro to do the design work. 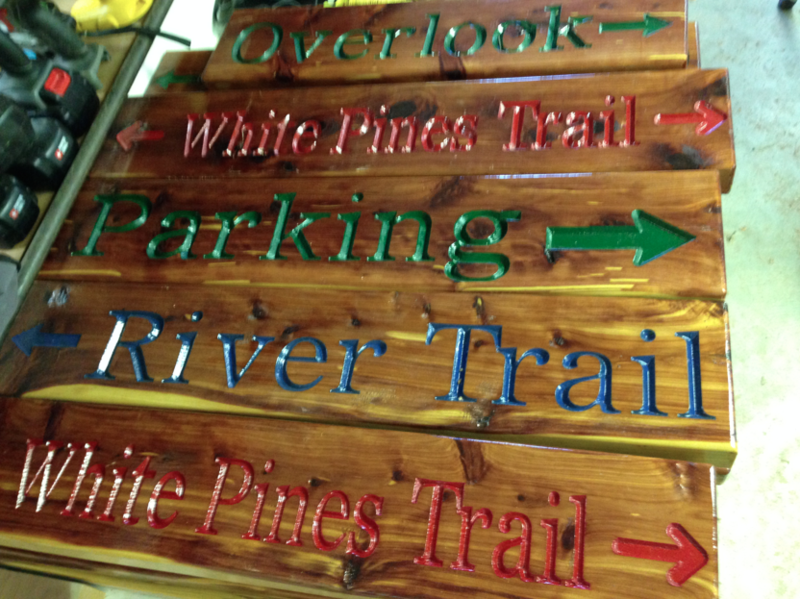 For each sign, they start with rough cut lumber and plane it smooth. Kyle sets up a jig for the Handibot, and moves the lumber down 6″ at a time, cutting the wood using the tiling feature available in the toolpathing. After cutting the designs, Kyle paints the entire front of the sign with the color meant for the carved areas, then planes the pieces down leaving the color in the inlay areas. He then applies two coats of sealer and 2 coats of finish. 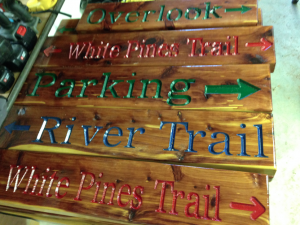 Kyle said these new signs should last a decade or more, perhaps with a paint touch-up after 5 years. 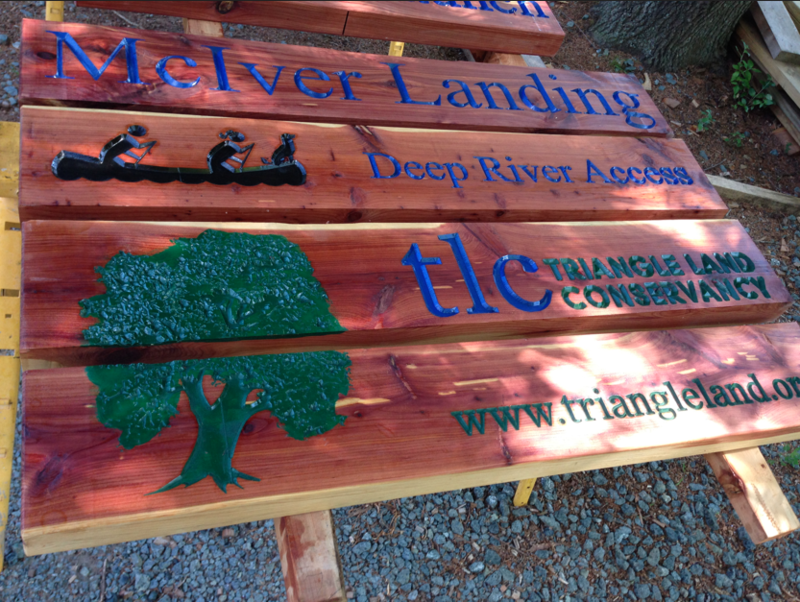 Sealant on multi-board sign dries outside. The pieces shown together. During the design phase, a leader in the organization casually mentioned it would be nice if there were a dog in the canoe. Kyle obliged and added one to the picture, leading the way of course. Kyle, who graduated from NCSU in 2014 with an undergrad degree in Environmental Science, mentioned that he had no previous CNC experience when he started using the Handibot tool, and only a small amount of background using CAD in environmental mapping courses. 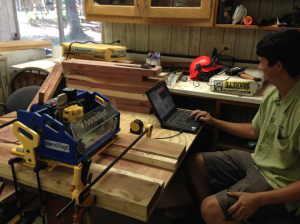 “I’ve used a lot of ShopBot’s online tutorial videos, and started out by making some of the easier projects that are available on ShopBot’s website,” Kyle explained. “I blew through a fair amount of wood making mistakes and learning,” Kyle said. “That’s how I’ve become comfortable with the tool and technology. 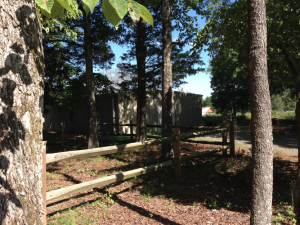 It’s a bit of trial and error.” Kyle said that his learning curve on the tool has not been that difficult, thanks to his background growing up on a farm in Hendersonville, where he did basic carpentry work, fencing, siding and the like. From their website: Triangle Land Conservancy makes a positive, permanent impact on the Triangle’s quality of life by acquiring land to protect water, forests, and farms. Their areas of focus are on safeguarding clean water, protecting natural habitats, connecting people with nature, and supporting local, sustainable farms and food production.